As a nonprofit, a house museum faces the core challenge of raising revenue in ways that relate to the organization’s mission. Fortunately, house museums possess one of the world’s most lucrative resources: real estate. The paradox is that a house museum’s real estate is its mission, and it is often also part of its museum collection. At the Heurich House Museum in Washington, DC, we have worked hard to create mission-related uses for the non-collection parts of our historic property. In April 2015, we converted our carriage house into an arts and humanities collective called Brewmaster Studios. Founded in 2003, the Heurich House Museum preserves the legacy of brewer Christian Heurich and enriches the cultural life of Washington, DC. Our property is made up of the Heurich family’s five-story mansion, which contains intact interiors and family objects; their carriage house, with interiors that had been redeveloped into office space before the museum was established; and a garden that the family used as a dog run and backyard and that contains no original plantings. Our collections management policy defines the building, as well as many of the original architectural features that still remain on the property, such as the cast-iron and concrete fences and the exterior of the carriage house, as part of our collection. Heurich carriage house, 1921 Sunderland Place NW, c. 1925. Photo by Heurich House Museum. The lessons we have learned from Brewmaster Studios can serve other house museums in their pursuit of mission-related revenue-producing projects. Give entrepreneurial stakeholders a chance to help. For the last three years, the Heurich House Museum has held an annual Christkindlmarkt in the garden. The event is our take on a traditional festive German holiday market, our way of honoring Heurich’s native German culture while supporting local artisans. Our Christkindlmarkt vendors sell hand-made works that stem from the same traditions as the craftsmen who built this house. In early 2015, Meredith Akery, a letterpress maker and one of our Christkindlmarkt vendors, asked if she could use the carriage house as a studio space. The two-floor building was up for rent, but we were searching for a larger nonprofit to fill the space. Meredith proposed converting the building into a series of artist studios and offered to create a plan to make it work. After hearing her ideas, and hammering out the details, we decided to create an application for occupancy The response was so positive that we were able to refine the project goals and choose artists who were best suited to our space, mission and financial need: a jewelry artisan, a leather-goods maker, an artist whose paintings reflected architectural themes and a humanities scholar. Meredith Akery at her letterpress studio, Brewmaster Studios. Photo by Sharmila Photography. There is such a thing as an “all-in-one” solution. When we first put the carriage house up for lease, our plan was to find an economically stable nonprofit tenant whose mission aligned with ours and who served the DC population. This solution was intended to achieve three goals: ensure that our rental income was mission-related and not taxable; align with DC law, which governs our property tax exemption; and not overburden our small staff. During the initial planning stages of Brewmaster Studios, we found creative ways to meet these same goals. In exchange for a rent reduction, Meredith acted as studio administrator, co-organizing the application process and artist choice as well as handling day-to-day tenant management. One locally focused nonprofit organization anchored the project as the tenant of the open floor plan first floor, and we rented the “rabbit warren” of offices on the second floor as studios to craftspeople who owned small local businesses with a level of proven viability. Well-implemented revenue-making projects can bring more than just revenue. Since Brewmaster Studios opened in April 2015, our tenants have worked just as hard as we have to build this independent arts community. They launched their own website, host monthly open-house events and have collaborated to create new products. The benefits of creating Brewmaster Studios have proven exponentially greater than the monthly rent in our operating account. Our humanities scholar tenant has become a senior advisor to the Heurich House Museum, and some of the artisans participated in our Christkindlmarkt again this year. The project has received considerable coverage by the local press, and the museum’s reputation in the local small business community has grown. The studios have also inspired new ideas in the museum’s programming. During this year’s holiday market, we featured vendors’ work in the museum spaces for the first time. Brewmaster Studios has inspired the museum to participate in Dupont Circle’s monthly “First Fridays,” a free event open to the public. By opening on Friday evenings, we attract a new audience that is unable to visit during our daytime public tours. In addition, we have the opportunity to partner with local artisans each month and provide them with a platform to market their works. By teaming with our stakeholders, we have not only secured a reliable revenue stream aligned to our mission, but also built a new community for our stakeholders, found new pathways to collaboration and expanded our reach in our neighborhood. Dr. Glass asked me to think about this Russian sculpture and how it relates to an American sculpture that was also designed for children…the Dr. Seuss National Memorial Sculpture Garden in Springfield, MA. “A comparison of the two works would be an interesting way to look at national culture,” Dr. Glass said. What are your thoughts? There is a lot of talk in DC and other big cities about incubators. And while Affinity Lab and The Hive have had nice write-ups, one of the most important incubators in Washington, DC has had very little press. It also closed around 1928, and had nothing to do with tech start-ups. As you surely know by now, the Howard Theatre (640 T Street NW) was transformed in a $29 million renovation that completed and unveiled to the public last Spring. Photo by Tim Cooper courtesy Howard Theatre. 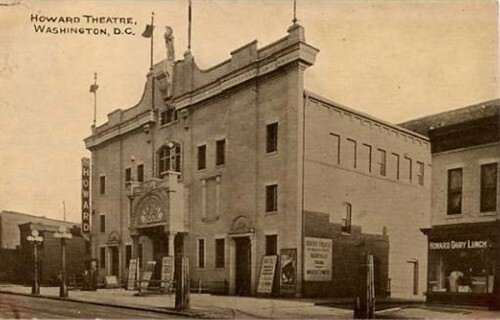 Opened in 1910, the Howard Theatre was an important addition to a segregated and centralized, thriving African-American Washington-based throughout the Greater U Street neighborhood and Shaw. One of those new businesses started right next door to the Howard just about the same time the theater opened, and it is this, Frank Holliday’s Pool Hall, that became one of the city’s most important incubators of musical talent. It was not a normal, neighborhood-type poolroom. It was the high spot of billiard parlors where all the kids from all neighborhoods came, and the great pool sharks from all over town. Some would come from out of town, too, and there would be championship matches. Guys from all walks of life seemed to converge there: school kids over and under sixteen; college student and graduates, some starting out in law and medicine and science; and lots of Pullman porters and dining-car waiters. These last had much to say about the places they’d been. The names of the cities would be very impressive. You would hear them say, “I just left Chicago,” or “Last night I was in Cleveland.” You do a lot of listening in a poolroom, and all this sounded very big. 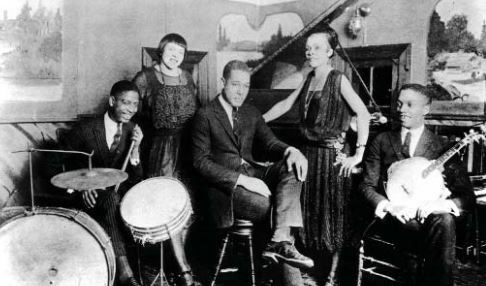 By 1923, Ellington had moved to New York City, was soon working at the Cotton Club, and the rest is history. 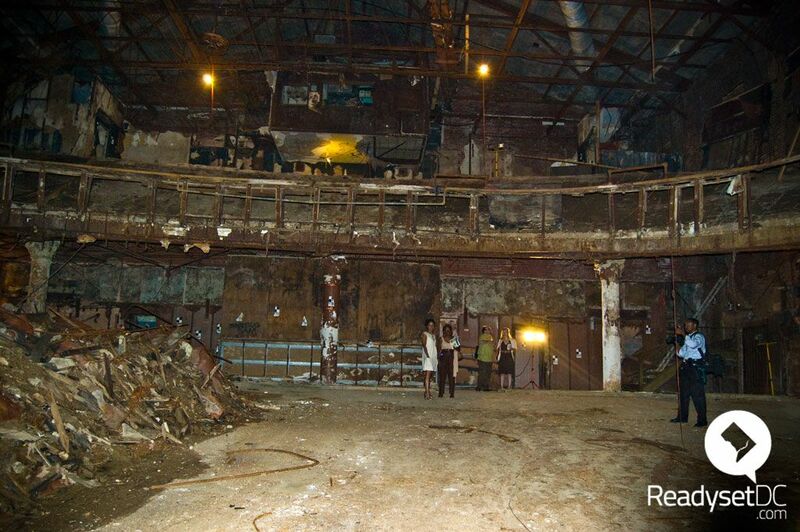 In 1923, the patrons of Frank Holliday’s narrowly escaped a ceiling collapse, and by 1928, the building was vacant. Around 1931, the row houses were almost fully knocked down (although a portion of the western wall remains), and a one story building was constructed at 624 T Street. 7th and T Streets NW in 1935, showing the “new” one-story building at 624 T St NW (Photo courtesy Howard Theatre). Photo courtesy Prince of Petworth. The last occupant of the space was Café Mawonaj, a music venue and gathering place for political activists from those seeking justice in African countries to anarchists in the United States. A fire on November 20, 2005 resulted in the cafe’s eviction. But soon you will be able to visit the site of Frank Holliday’s once again. As part of the new Progression Place mixed-use development, 624 T Street will be reinvented, this time as the Right Proper Brewing Company slated to open in October. Owner Thor Cheston‘s first album was the Duke himself, and maybe the venue will become an incubator of the new popular culture in DC…beer. the location is featured every month on Metro Connection, a local news magazine show on Washington, D.C.’s NPR station, WAMU 88.5. In each segment (also called the location), I talk about a different D.C. location that has some kind of interesting or offbeat history. Tune in today Friday, September 28 at 1pm or Saturday, September 29 at 7am. Today’s radio segment puts the cart before the horse: the blog post that accompanies the story won’t be published on the location until next week. It also throws the driver out of the cart. 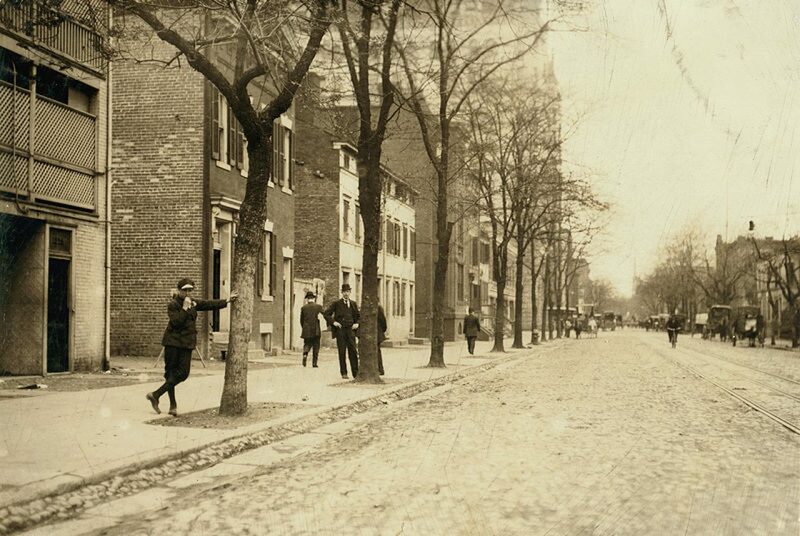 In 1889, when “perambulating coal oil dealer” Samuel Huntress was drunkenly fighting with his employee while simultaneously steering a horse and wagon towards his carriage house in Blagden Alley, he hit the side of a building, was thrown overboard, and died. 120 years later, that same carriage house now belongs to Anna and Dan Kahoe, owner of antique store Good Wood, and lovers of DC industrial architecture. You can read more about the history of this property, and see exclusive pictures of the Kahoes’ new digs, next week on the location. You can listen to the show live or recorded HERE. To learn more about Dan and Anna’s other fascinating DC property (the Louise Hand Laundry), check out this Washington Post story HERE. Learning: From my work at the Heurich House Museum, I know that sometimes only the strangest set of circumstances keep historic artifacts intact. This is the subject of Ghosts of DC’s post about Clara Barton’s Missing Soldiers Office on 7th Street NW. 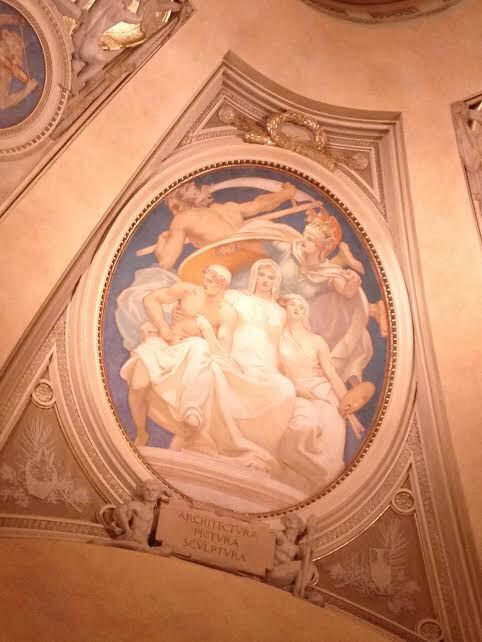 Only re-discovered after a GSA worker noticed something in the ceiling while he was conducting a pre-demolition inspection, the office was once used by the founder of the Red Cross (and my childhood hero) to help families track lost sons and fathers after the Civil War. For eight years, Ms. Barton operated this office where she received over 60,000 letters from distraught family members and collected supplies. She closed up shop when she could no longer climb the steps. The space, which has not been renovated since Barton’s work there, is on its way to becoming a museum. Building: Design*Sponge wants you to build your own neighborhood on paper. “‘Paper Neighborhood’ is a set of 21 rubber stamps, each depicting a different element of Italianate architecture. Using the basic elements, you can recreate your favorite buildings using just the stamps and ink. Each kit comes with stamps, a stamp pad and a tip sheet packaged in a 1 qt. paint can with a letterpressed label.” Awesome. Traveling: I am intrigued by the new bikeplanner.org, which does the regular bike route planning, but has the extra bonus of mapping a route using bikeshare. It will show you the closest place to drop off your bike and whether bikes are available at a dock near you before you plan your trip. You can also choose the type of route you’d like, from “flattest” and “quickest” to one most necessary for me…”safest”! New full posts soon. Promise!